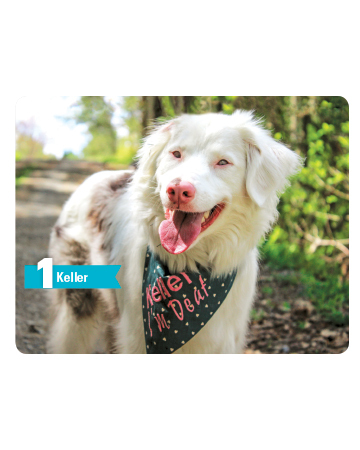 Keller, a two-year-old Australian Shepherd from Baltimore, was born deaf and vision impaired due to irresponsible breeding practice. Because of his disabilities, he was to be killed at just five weeks of age. 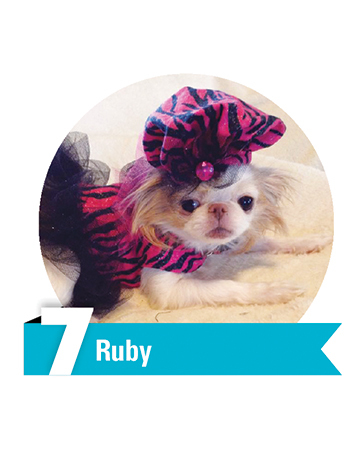 Luckily, he found a home with Amanda Fuller, who reports Keller’s disabilities don't slow him down at all! 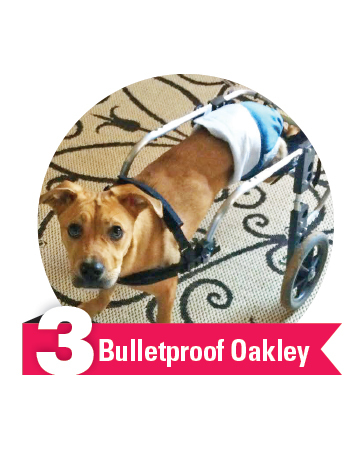 Together, Keller and Amanda raise awareness about merle-to-merle breeding and disabilities. Follow them at facebook.com/kellerthedm. 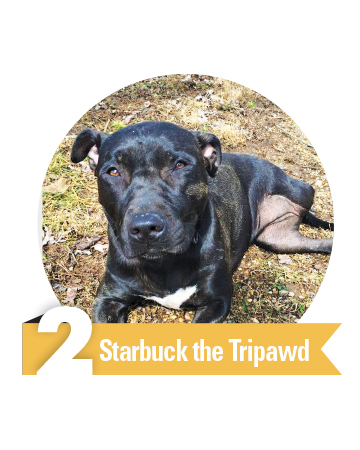 When Pit Bull Starbuck was just three months old, he was thrown from a car and left for dead. Mercifully, he survived, but he lost his leg. Little Starbuck had a lot of things going against him, reports his adopter, Allison Phillips: “Being a Pit Bull means he had a 1 in 600 chance of getting adopted, being disabled made it almost 20 percent harder, and black dogs usually spend twice as long in a shelter.” Lucky for Starbuck, his parents-to-be fell in love with him, and he’s changed their lives too; together they work to help other so-called undesirables! Red woolly Siberian Husky Topaz was a terrified dog with a looming death sentence when Pet Angels Rescue saved him from a kill shelter. But since his adoption he has blossomed. “People say he's always smiling even though he suffers from K9 epilepsy,” reports his dad Brian. 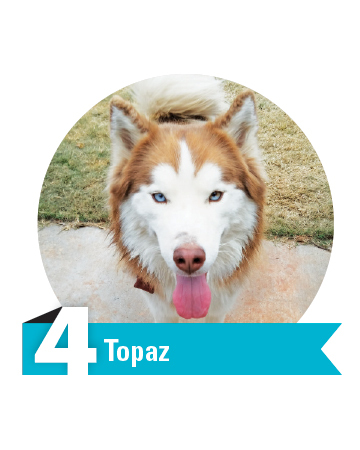 Topaz’s condition certainly hasn’t slowed him down: he’s living life to the hilt with his three rescued Husky pack mates! Rescued Cairn Terrier Sprout specializes in “spreading hope,” says his adoptive mom Val Rae Boe. Sprout was very sick when rescued from a puppy mill; vets quickly discovered a liver shunt, a life threatening birth defect, but Col. Potter rescue did everything possible to give him a second chance. His mom reports he is now happy and healthy, a sweet, silly little boy who has a personality that melts hearts. 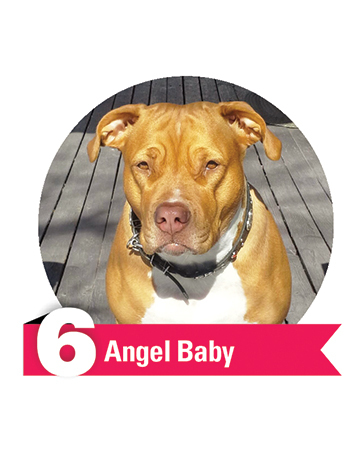 Lisa uses Angel Baby’s Facebook page to not only share Angel’s day (fun facts: Angel loves pizza, ice cream, and peanut butter), but also to share adoptable pets in shelters needing rescue. Chihuahua Dexter was adopted from Canadian Chihuahua Rescue and Transport (CCRT). 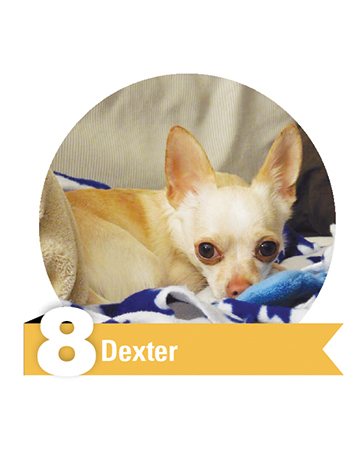 His mission is to spread the word ‘adopt, don't shop” and to support CCRT in their efforts to help homeless and abused Chihuahuas. “We are grateful to CCRT for bringing this wonderful little fellow into our lives,” says his adopter Jenn Stanley. When not busy raising the consciousness of the general public, Dexter enjoys stuffies, laying in the sun, and liver treats. 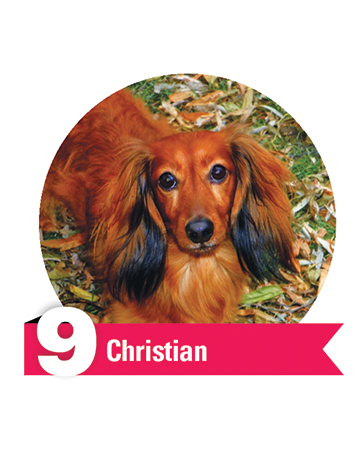 Longhaired Dachshund Christian “is the most loving, funny, playful, and loyal dog,” says Michelle Duckworth. 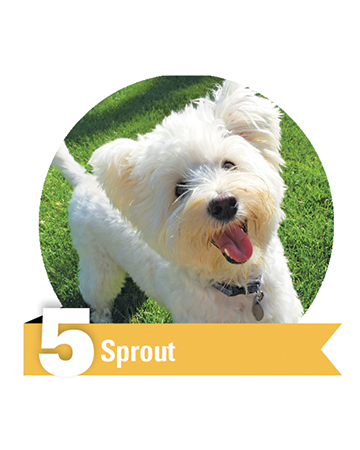 He loves to chase balls, wrestle with his siblings, snuggle on your lap, and treats: frozen yogurt treats, carrots—he likes it all. In his downtime you’ll find him lounging on the sofa or sun-basking. Pit Bull/Boxer Mix Fluffy (best name ever!) likes to have a little fun, loves to smile, and still thinks he is a puppy. “He is a sweet and kind dog that is the best thing that could've ever happened to his family,” shares his guardian Jonathan Reddell. “Fluffy is made up of bundles and bundles of love. 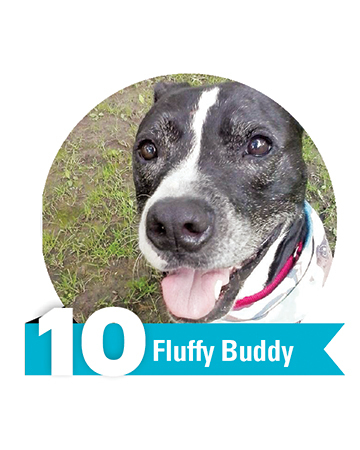 He brings joy and laughter and happiness to all he meets.” Some of Fluffy’s favourite things? Bananas and going on adventures. Us too, Fluffy!